All eyes are on Venezuela and the Trump Administration’s response to Sunday’s election. CARACAS, VENEZUELA -- Even before Venezuelans finished casting their votes Sunday, U.S. Deputy Secretary of State John Sullivan announced that the U.S. would not recognize the result of Venezuela’s democratic election. Sullivan was in Buenos Aires on Sunday, leading the U.S. delegation to the G-20 Foreign Ministers’ Meeting. International observers from over 40 countries were present on Sunday and have confirmed the transparency of an electoral system put in place in 2015, when the opposition won a majority in the National Assembly. In March, the opposition requested the U.N. not send observers out of fear it would legitimize an election they called on supporters to boycott. Nevertheless, Venezuela's election results will be discussed on Monday at a G-20 meeting. 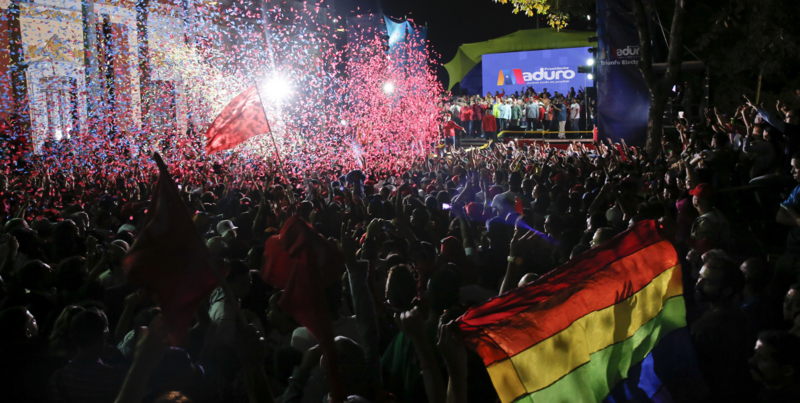 Western media and U.S. officials have not been shy in highlighting what they see as failures of Venezuela’s Chavismo movement, repeatedly claiming the election would be rigged, with votes cast in exchange for food. 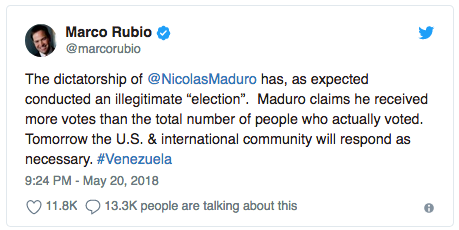 Senator Marco Rubio has been consistently outspoken, having called Venezuela's entire political process into question. “Before the elections, the U.S. imposed devastating sanctions aimed at hurting the Venezuelan people, which is an act of war. They’ve made clear that they will not recognize the results of this election, although it is a more transparent and democratic process than the voting system in the U.S., [one in which] every vote can be audited to disprove claims of fraud. All eyes are on Venezuela and the Trump Administration’s response to Sunday’s election. 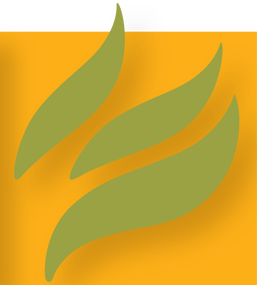 Latin America is often seen as the U.S. empire’s backyard with Venezuela being a political trend-setter. Written by Emma Fiala. // This article is Creative Commons. // See the original. This is a bit biased, the validity of the election has been rejected all over Latin America and Europe too. You are using Telesur as a source when it's funded by the Venezuelan government and acts as a propaganda outlet. 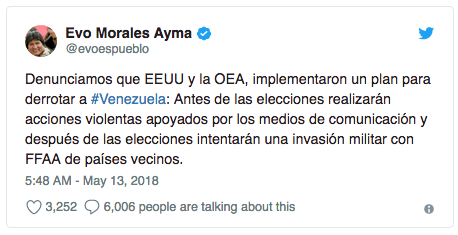 Translation: We denounce that the US and the OAS implemented a plan to defeat #Venezuela: Before the election they will carry out violent actions with support by the media and after the elections they will attempt a military invasion with the Armed Forces from neighbouring countries.